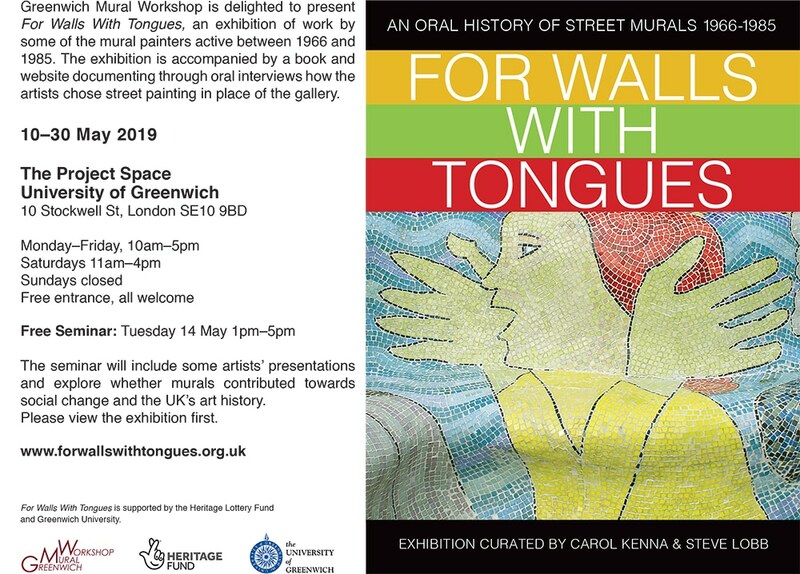 ‘For Walls With Tongues’ (FWWT) is an oral history of the mural movement in the United Kingdom charting the lives and experiences of some of the muralists active in the period 1966 to 1985 created from interviews with thirty British muralists working around the country, recorded between November 2017 and September 2018. We have also included studies of five muralists who we could not interview. We are wonderfully fortunate to be able to include an essay by Professor Bill Rolson on the external murals of Northern Ireland. We have produced For Walls With Tongues as a book and website – which allows us to say and show more. A photographic exhibition of the muralists’ work will be displayed at the University of Greenwich throughout May 2019 and will be available to tour afterwards. In addition the artists’ full interviews will be available in the recordings collection of The British Library. 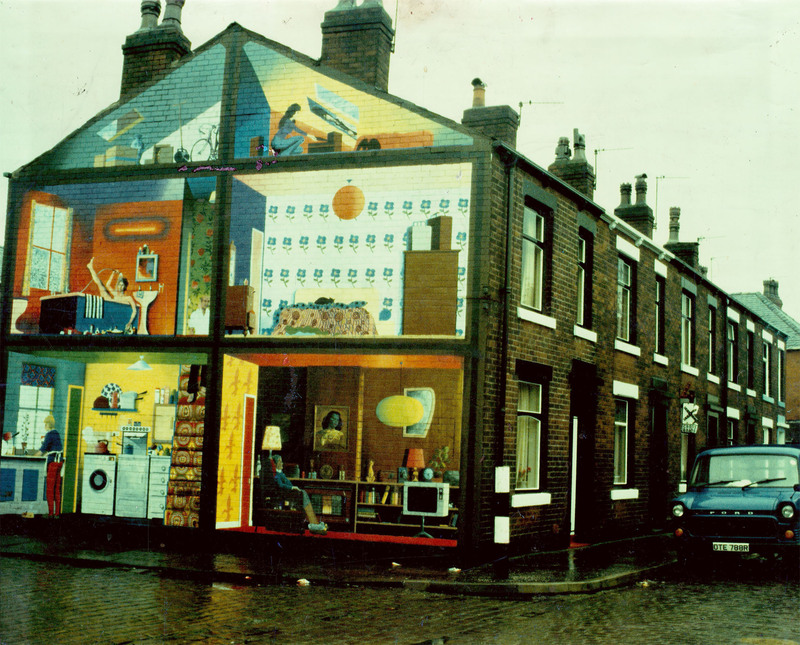 Artists began producing gable end murals in Britain around the middle of the 1960s. Paintings on the street had not been seen before – at least not in the profusion that then ensued. Murals were used as a backdrop for local celebration, expressing local pride, encouraging a sense of place, celebrating our varied cultures and contributing towards environmental improvements. 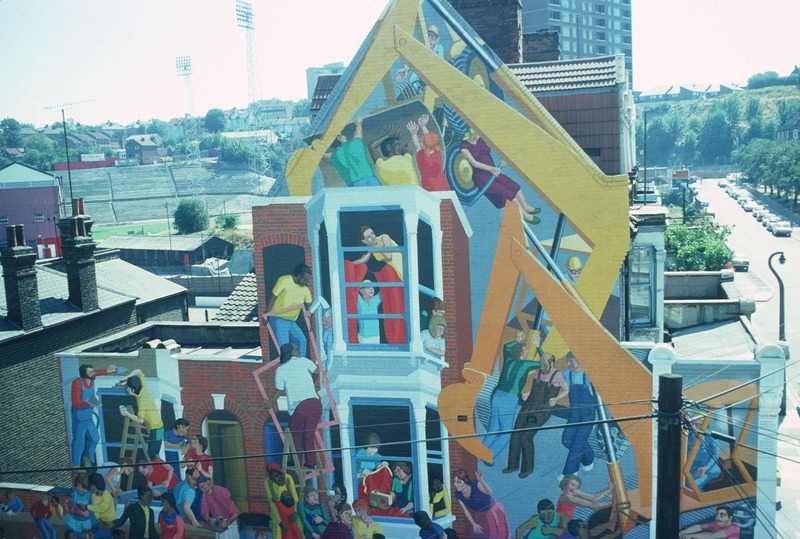 Many muralists saw their work as part of the wider Community Arts movement, using their skills to facilitate social and political change as well as to develop radical alternatives to gallery art. At the same time external murals were appearing across the world. It was in the USA particularly where neighbourhood murals gave voice to people’s ideas and aspirations and gave us the title for this project. Links were established between Britain, the USA and Europe. Artists worked in each other’s countries, met at conferences and exchanged ideas. The Mexican muralists, ‘Los Tres Grandes’,were a common source of inspiration. Researchers visited, articles were written, the murals were recorded. Some muralists worked right through this period, some went on or back to other forms of artistic expression. The initiative for ‘For Walls With Tongues’ came from our realisation that the mural movement has been largely overlooked by the arts establishment and historians. Some muralists were interviewed at the time their murals opened and received critical appreciation in arts journals, but of the few early books that did appear, most came from foreign authors. 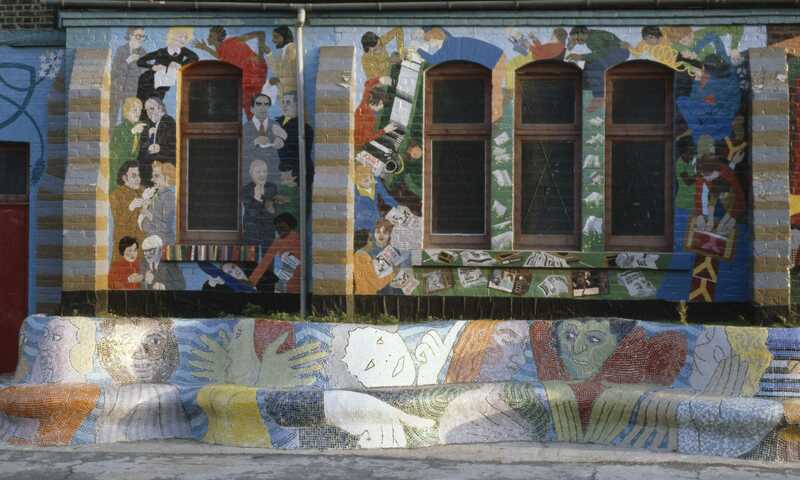 It is time now for a publication by muralists themselves who brought something new to the discussion about ‘the purpose of art’, as well as to question those art historians who have consistently ignored or sought to diminish the contribution made by the mural movement to 20th century culture. The movement was never formally organised, rather a scattering of individuals and groups keeping in touch, calling on one another, at times working together or meeting at one of the four national conferences organised in this period. Two were held in London – at Battersea Arts Centre and Chelsea College of Art, one in Wakefield and one in Wolverhampton. 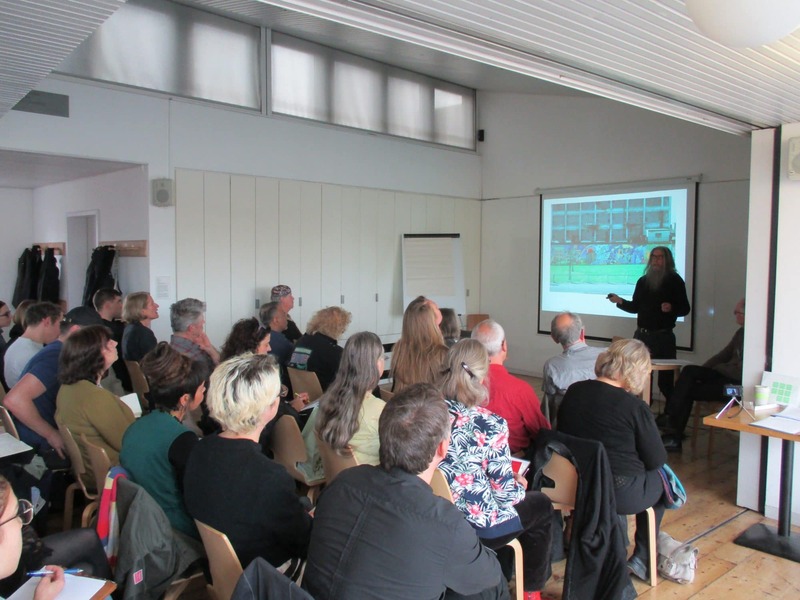 There were also two community arts gatherings: at the Polytechnic of Central London and the Fruitmarket Gallery in Edinburgh. There were a great many experiences to share and there were hard debates about the muralists’ different interests, strategies and motives – differences which will become apparent from their stories and from the pictures of their work in FWWT. Funding was an essential part of discussions. Considering the size of murals and the numbers of projects that developed, the success of their work depended on substantial funding. So we have examined the many ways they were supported, from local community funds, trusts and the many arms of government. It has been an amazing experience to speak with and to recall muralists from this period. Thanks to all who contributed. It is also essential to put on record the enormous assistance given to the movement by arts officers in the former Arts Council of Great Britain, the Scottish Arts Council and Regional Arts Associations, local authorities and Trusts, and all the people who went out of their way to back this wayward horse. We thank them all. We owe particular thanks to the historian Dr. Timothy Drescher from the USA for his enthusiasm and advocacy, and David Harding from Scotland who gave such leadership and guidance to the movement on both sides of the Border. 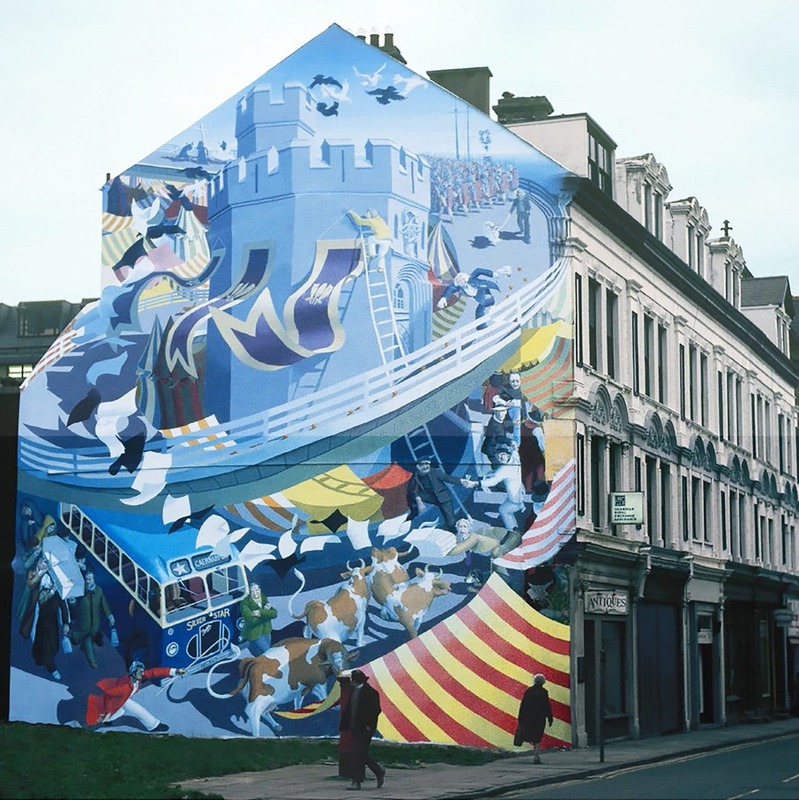 Greenwich Mural Workshop was set up in 1975 offering gable end mural painting, printmaking, banner making, events and street carnivals, and environmental improvements from small street corners to whole parks. These tools for social change and celebration had considerable impact on communities in the borough of Greenwich. The FWWT team includes Carol Kenna and Stephen Lobb of GMW, Rib Davis as oral history advisor, Ben Wiedel-Kaufmann as researcher. Volunteer interviewers - Maya Finkelstein Amrami, Dr. Hazel Atashroo, Catherine Ireland Farren, Emma Middleton-Stirling, and members of the team. The project would not have been possible without the help and support of the 31 artists interviewed over the course of the project, the expert transcription skills of Verusca Calabria, Stephen Flinn, David Govier and Dvora Liberman . Photographs have been supplied by the participating artists, GMW archives, Chris Hudson - Paul Butler's Peace Mural, Lambeth Archives, Stuart Robinson, University of Sussex for John Upton's 'Christ Entering Brighton' and Transport for London. Digitised images have been provided by Svpply&co.Ltd. We owe particular thanks to the USA historian Dr. Timothy Drescher for his enthusiasm and advocacy, and visionary artist David Harding from Scotland who gave such leadership and guidance to the movement on both sides of the Border. 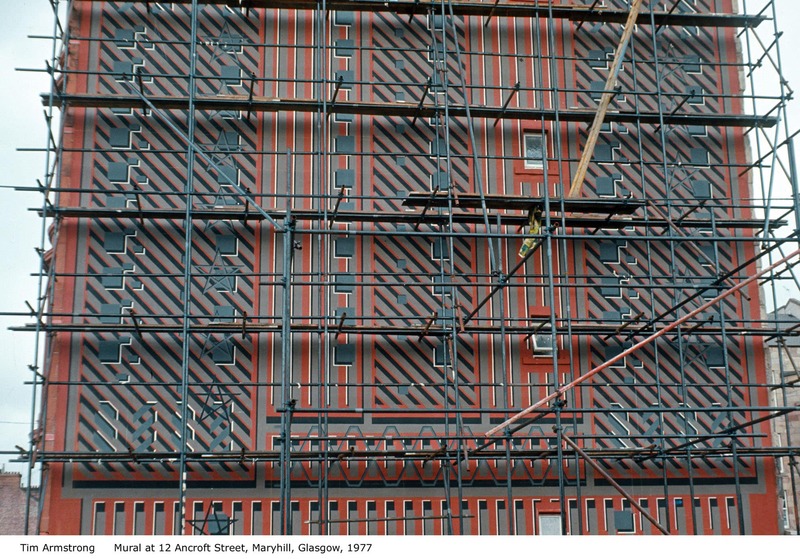 For Walls With Tongues Launch Seminar Whitechapel Gallery 1st November 2017 The For Walls With Tongues project was publicly launched by the seminar hosted by the Whitechapel Gallery, East London.